Lieutenant Bhavana Kasturi became the first woman officer to lead an all-men Army contingent in the Republic Day parade this Saturday. She led the Army Services Corps contingent. "It’s a matter of great pride and honour to me and it’s a glory for us. Not just me, two of our JCOs and 144 jawans in the contingent are privileged and we will be part of history." New Delhi: Lt. Bhavana Kasturi who became the first woman officer to lead an all-men Army contingent in this year’s Republic Day parade expressed how she felt being a contingent commander and how it was a huge honour for her. 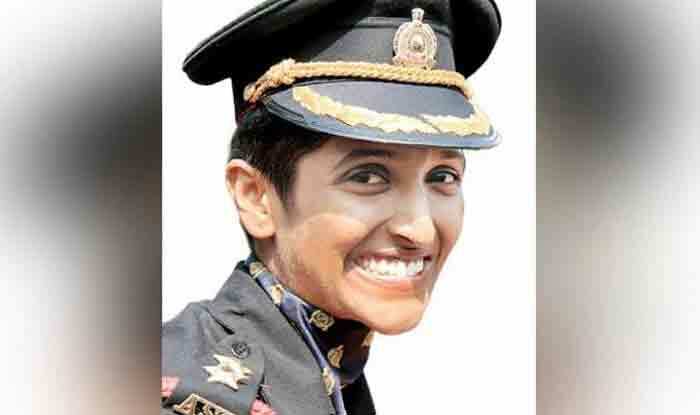 Talking about how saluting the President was the most memorable moment of her life, Kasturi stressed that nothing is impossible for girls as they have a lot of potential. A display of women power in the armed forces was a major highlight of this year’s parade with a slew of women officers in leading roles. Among the many firsts was an all-women contingent of the Assam Rifles led by Major Khushboo Kanwar. Major Khushboo Kanwar led a contingent of the Assam Rifles, the oldest paramilitary force in the country. “Leading an all-women contingent of the Assam Rifles is a matter of great honour and pride for me. We have practised hard…I am a daughter of a bus conductor from Rajasthan and if I can accomplish this, then any girl can fulfil her dream,” she had said. Captain Shikha Surbhi of the Army Signals Corps also performed a standing salute on a moving motorcycle.